At La Croix Du Reh, a Bed and Breakfast near the city of Limoges, in the beautiful area of Limousin, we are proud of our location. There is so much to do, to see and to experience, we want to share our stunning region with the world. This blog will aim to do just that and bring you updates on what’s new, what’s old and what’s happening in the region. We’ll also aim to delight with local history, art, culture and of course, with new pictures of the stunning surroundings as they arise. The French Chambre d’Hôtes (B&B) is owned and run by us, Peter and Galya Fenton. The Bed and Breakfast is a perfect place to stay while you explore the region, visit friends or just want to relax. 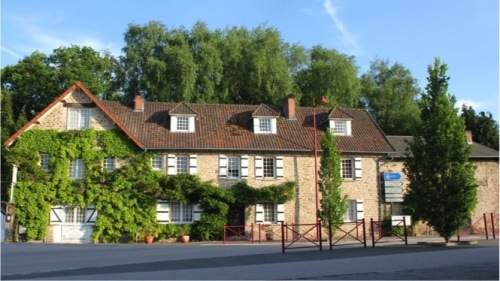 With excellent food, a serene three acre park, secure parking and kids and pet friendly policies, we hope that our B&B will be your choice of holiday or travel accommodation when coming to Châteauneuf-la-Forêt, Limoges, Limousin or whilst traveling through France. This blog will, therefore, also bring you news of our special offers, latest activities and secrets and recipes shared from Galya’s Kitchen. We hope you enjoy this and come to stay with us soon.